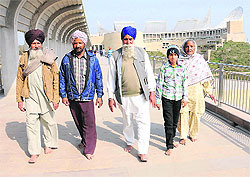 Visitors walk barefoot at the Khalsa Sikh Heritage in Anandpur Sahib. Propelled by faith, they tread the arcaded path barefoot and make a wish by offering coins to the water body inside the Khalsa Heritage Centre here. It does not matter to them that they are visiting a museum and not a place of worship. On an average, 6,000 visitors descend on the Heritage Centre everyday. The authorities are at their wits end dealing with their religious fervour with most insisting on leaving their shoes outside. When prevented from taking off their shoes at the entrance, a majority of visitors leave the footwear in their vehicles, but the practice of throwing coins into the lake continues unchecked. “We have tackled the problem. Nobody is allowed to leave shoes inside the complex. The visitors mostly leave the shoes in their vehicles and walk barefoot. We wonder what they will do in the hot summer months. We have been telling them that since it is not a place of worshipp, they can enjoy the comfort of their shoes. 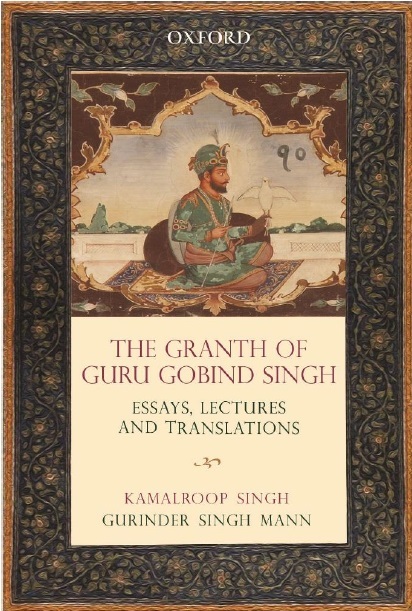 But our telling them is all in vain” said Kamaljeet Singh Sra, Chief Executive Officer, Khalsa Heritage Centre. The officials may have been trying to reason out with the visitors, but most are in no mood for it. “The complex symbolises Sikh aspirations and traditions. To me, it is a place of reverence,” maintained Manjeet Singh, a resident of Chamkaur Sahib, who walked in the complex barefoot.